Hello & welcome to the easiest, most delicious thing you will ever do with your oven. Baked salmon is so easy a small child could do this, so if you are the kind of person with few to no kitchen skills then this is totally for you. Although even if you're Heston I can't imagine you passing this up. Preheat your oven to 200. Cut a few slashes in the top of your salmon as I have done above, and brush with oil. Stuff the slashes with the herbs & place the lemon slices on top. (At this point I also drizzled on a little soy sauce but this is optional). 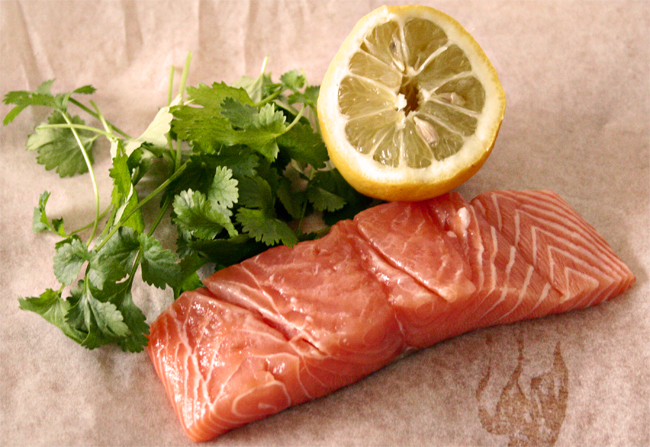 Wrap your salmon in parchment & then in tinfoil to keep it all tightly sealed. Bake on a low shelf in the oven for 20 mins. Once it's done open it careully to let out the steam- don't burn yourself. Et voila! That's seriously all you have to do. 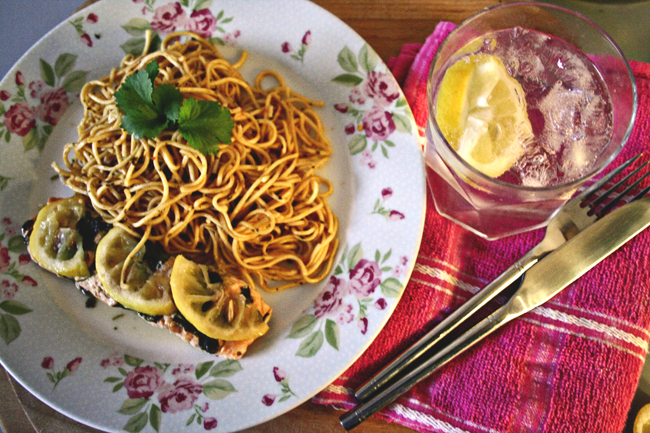 I had mine with some spicy noodles and a G&T, and it was SO AMAZING I could have eaten it twice. 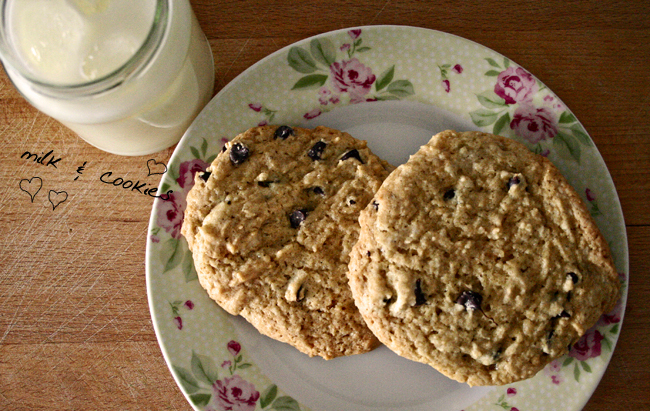 I believe that everyone should have a good cookie recipe that they can turn to whenever they get the craving. I like my cookies soft and chewy with a good helping of chocolate chips in every mouthful and these cookies fit the bill perfectly. 1. Preheat the oven to 170°C & prep two large baking sheets with baking paper. 2. Cream the butter and sugar together in a mixer or with a handheld electric whisk until light & fluffy. Add the eggs and vanilla and beat into butter & sugar until smooth & creamy. 3. Add all flour and bicarb of soda and mix well until a smooth, sticky dough forms. 4. Add peanut butter & chocolate chips & fold in with a wooden spoon until evenly dispersed. 5. Arrange cookies on baking sheets leaving plenty of room for them to spread. Bake for 15-20 minutes, until cookies have just started to turn golden. 6. Remove from oven and let cookies cool on tray slightly (they will be very soft & will break if you try to lift them off the paper straight out of the oven) before transferring them to a wire rack. 7. Eat with a glass of ice cold milk, a really good movie and a snuggly blanket! I was delighted then, when I was casualling strolling through Sainsburys (stocking up on black opaques, obv) and spotted an EVER so similar bag at the end of the tills! 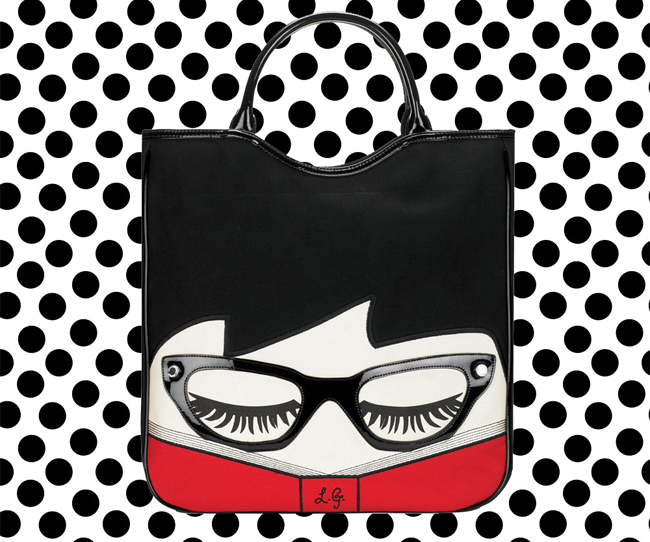 Lulu Guinness has teamed up with Comic Relief & designed a range of really adorable totes (I love the cat one too) and they are only £5. 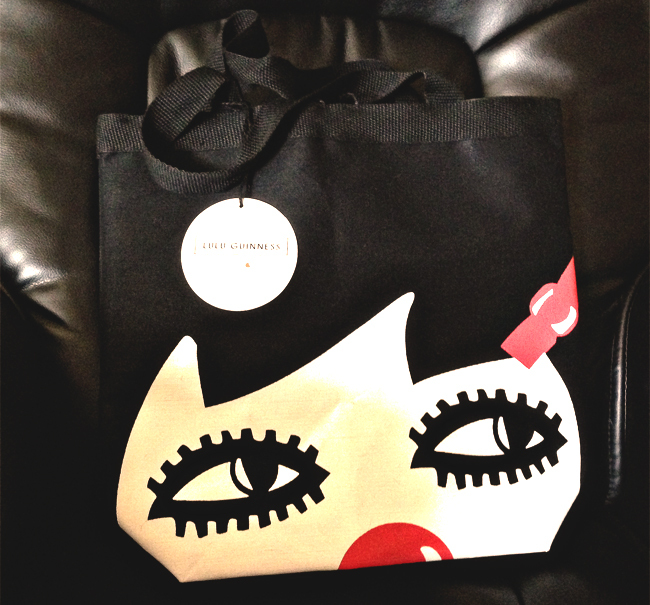 Plus the best part is that a portion of the money goes to Comic Relief! 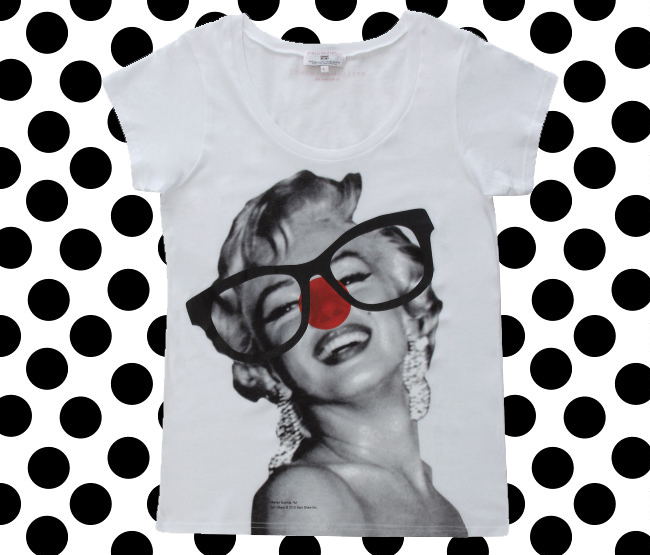 Speaking of Comic Relief fashion- how CUTE are the Stella McCartney designed tees this year? I really wanted one last year but by the time I got to TK Maxx they didn't have any left :( so I am going to go in tomorrow & hopefully they will have them in stock! 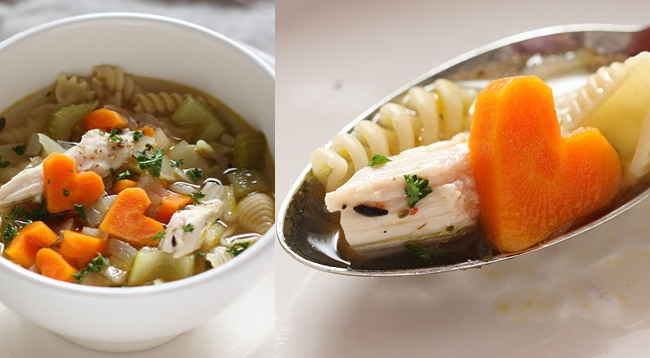 Heart-shaped carrots for chicken soup from Sophistimom. Such a cute idea for Valentine's day, or even just to cheer up someone you love who is feeling a little poorly. 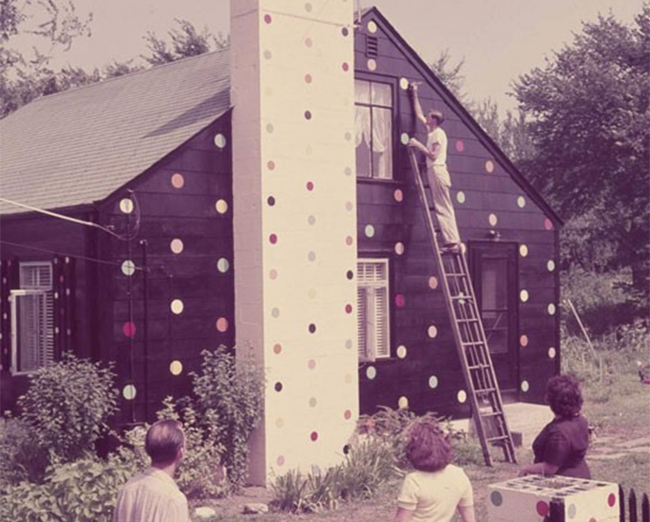 This polka dot house from an old Life magazine. Definitely want to do this someday! 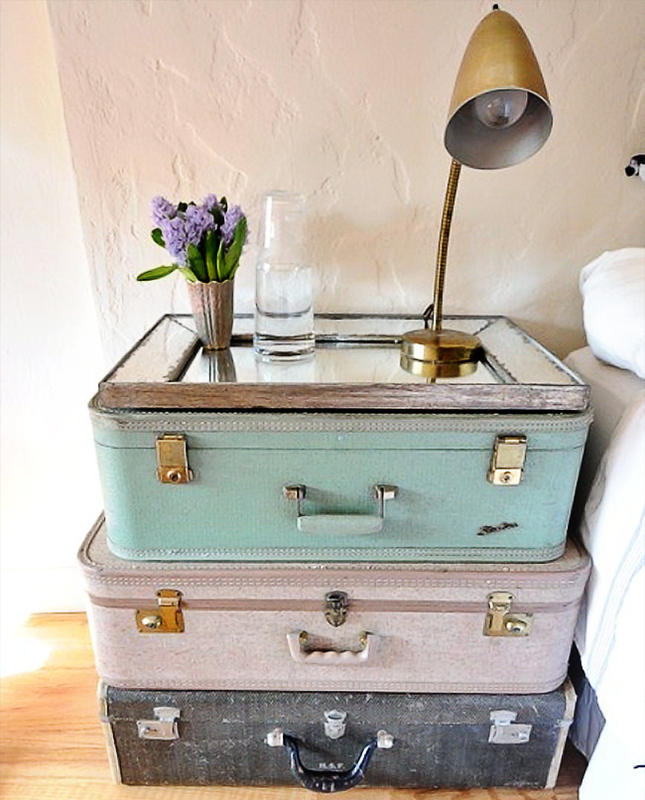 Using vintage luggage as a beside table is such a cute & clever idea. Would be a lovely way to add fresh colour & interest to a simple & clean bedroom! And that's it! 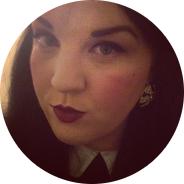 My 3 simple little things that I loved this week. Hope everyone's having a nice weekend!